Action Learning is an intervention that encourages shared peer learning and problem sharing. the support of other people. 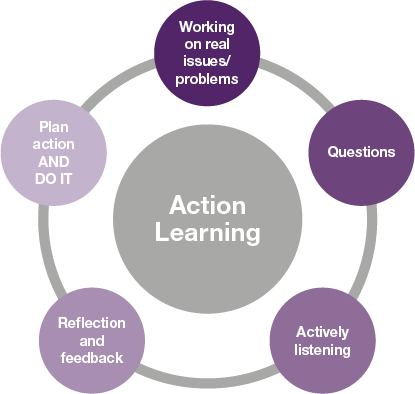 Action Learning is done in focused group sessions that address a particular issue. watch this video by the International Foundation for Action Learning.